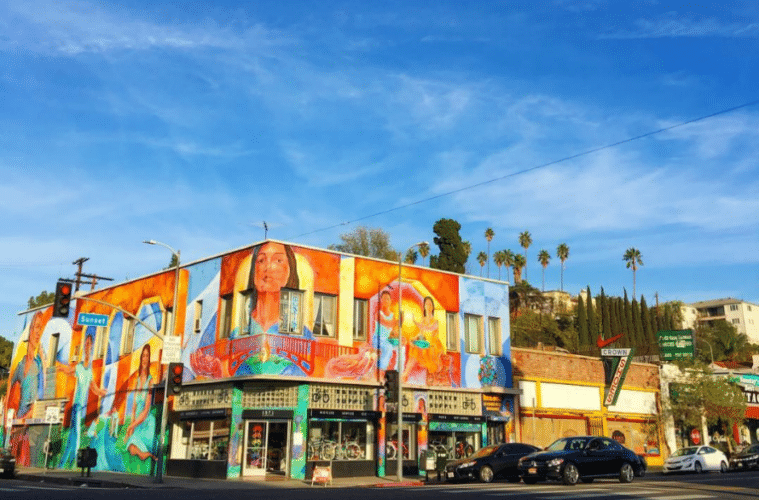 If you’ve been wanting to travel to Los Angeles, I put a list of ideas of cool things to do in Silver Lake and Echo Park. This area has become an extension of Phoenix for me because this is Maya’s new hood! Every time I visit her, she takes me around to all the must-see spots. Let me show you! 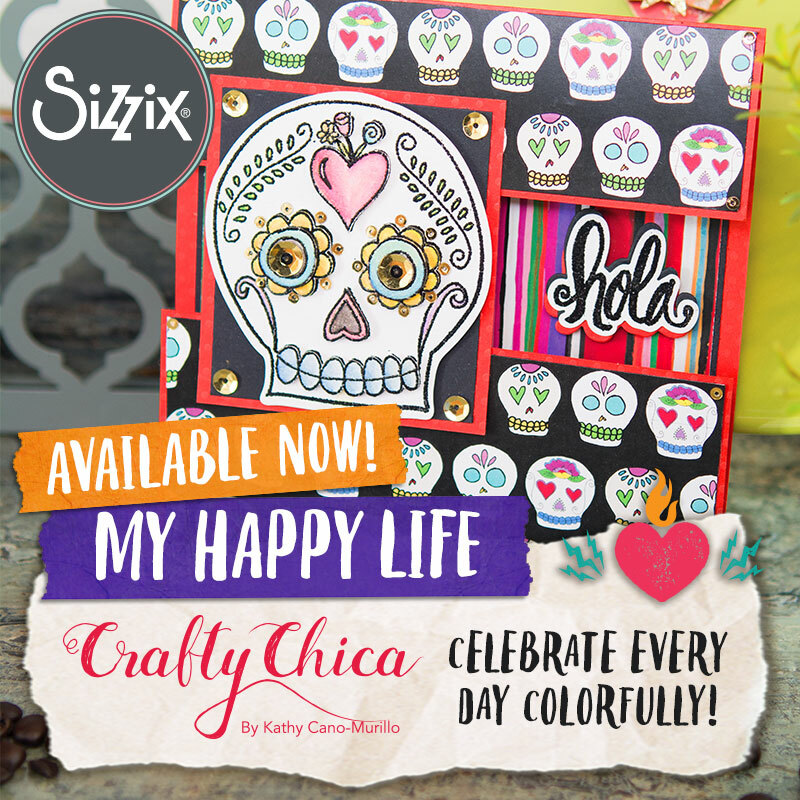 My most recent trip was in May when I was invited to San Diego for a Crafty Chica Artelexia event! After I told my husband, we decided to make bigger plans – a road trip. We also added a Los Angeles leg to spend time with Maya to see her workplace and apartment. 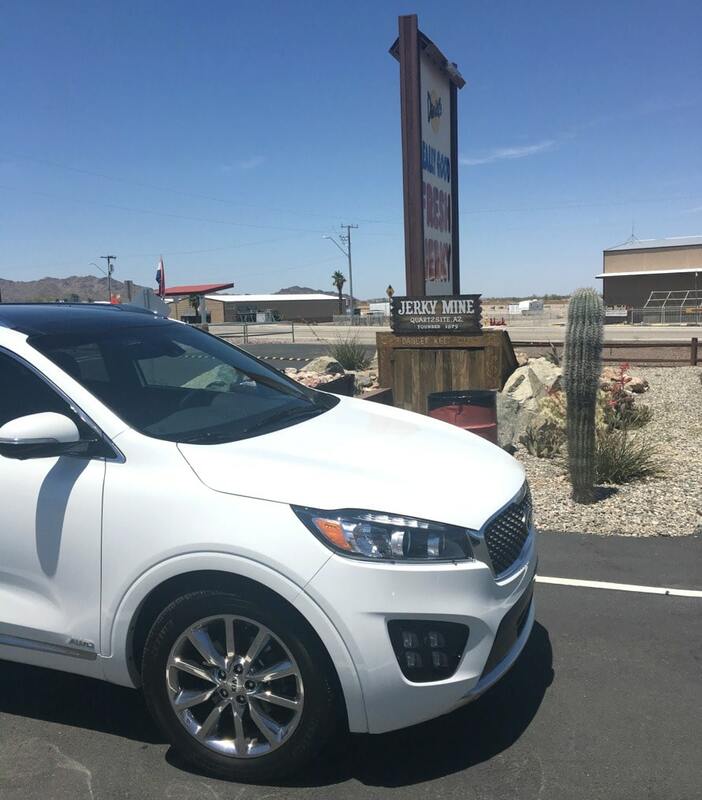 Before we get rolling, I want to give a shout out to KIA for loaning us a brand new, gorgeous Sorento! This is how we were able to make this trip happen, and we even had room to bring my mom-in-law! Daniel’s Really Good Fresh Jerky. With as many times as I’ve seen this sign, it was about time we stopped. It’s in Quartzsite, Az. You’ll find every kind of Jerky you can imagine. It makes for the perfect road trip snack! Here’s a video I found that shows what the store looks like inside. 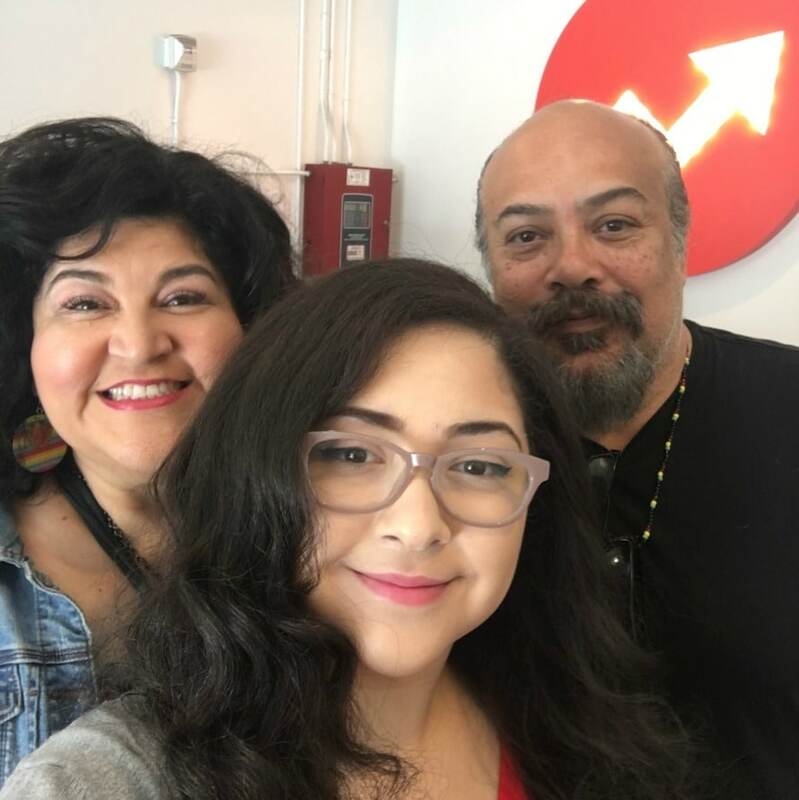 Then we arrived and visited Maya at BuzzFeed! You know, we all see the BF videos on Facebook, but it’s another story to actually be on the Siren Studios lot. There are all kinds of small sets thatthe team films in. There was a little nightclub set, a retail store, a coffee house, a bedroom, living room and so on. There’s a fake park, and even casitas with front lawns. 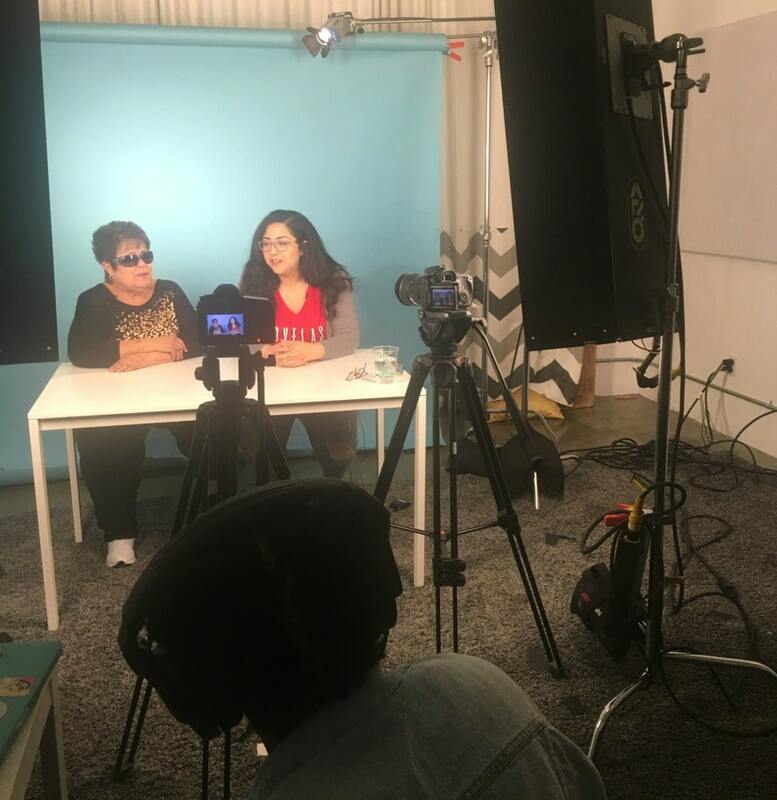 We were all interviewed for a video, including my mom-in-law! 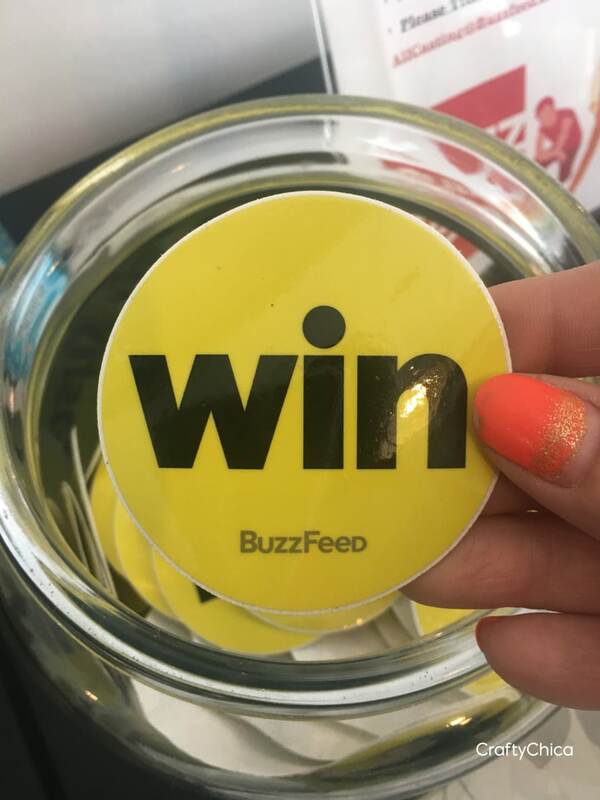 I’ve never seen a big of a prop room as the one they have at BuzzFeed, it was more like a warehouse. Maya gave us the tour and introduced us to all her coworkers and new friends. It gave me a sense of peace because everyone was so kind and supportive of her. Patrick and I also filmed a video with Maya. You’ll have to wait and see what it’s all about, I’llshare it here as soon as it’s up! Maya has all the feels for our set of wheels. One common theme I noticed around the compound was positivity. I couldn’t have suggested a better place for Maya to fulfill her dream of making videos as a profession. Here we are in the front office, doing the cheesy parent grin. Well, at least I’m doing the cheesy parent grin. If my eyes look puffy it’s because I cried. I always cry. It’s not easy having your youngest move to another state. After we finished the tour, we were starving from hours of driving. Maya picked the perfect spot to eat! 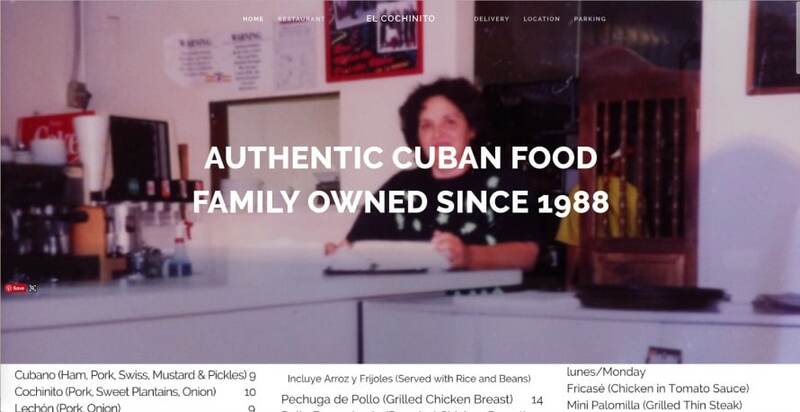 This is a Cuban restaurant in the Hollywood area. It doesn’t look fancy from the outside, or even on the inside. But, man, the food will change your life. It will elevate your taste buds to new ranges of flavor. Seriously, you will truly understand the meaning of “savory” – if you are nearby, visit! When it came to a hotel, we ditched that idea in favor of Air BnB. Maya lives in an apartment that is right in the center of Hollywood, Silver Lake, and Echo Park. She has the best of three worlds at her fingertips! We wanted to stay close, but the hotels that were affordable were in sketchy parts of town, and the better areas had crazy prices. Would you believe we saved money AND stayed at a really cool place because of Air BNB? This is the house we rented, it was perfect for what we wanted. 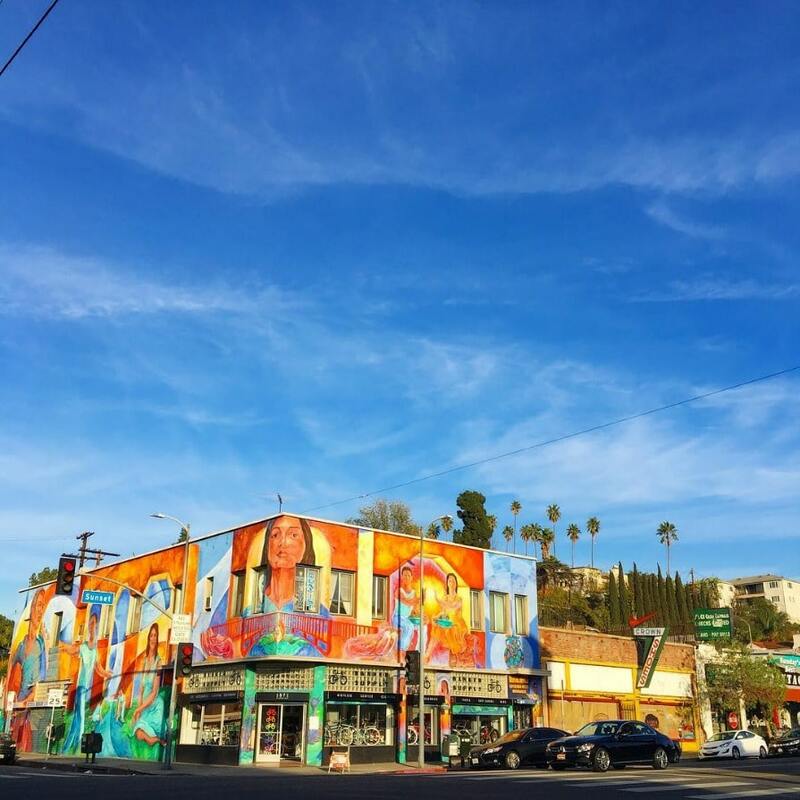 Located in Silver Lake, the area really captured the charm, there were cute shops and restaurants all around, and the neighborhood was nice and quiet. Soooo scenic. And at $150 a night, we saved money from staying in a boring hotel. 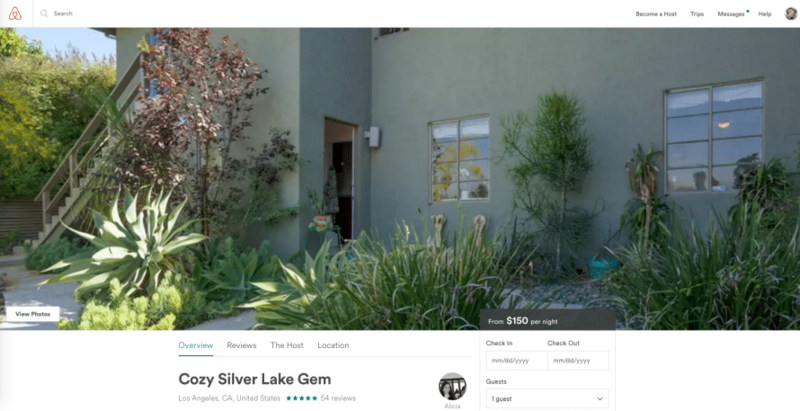 This was my third experience with AirBNB, and it was certainly a win! I know it seems kind of scary at first – staying at someone else’s house, but it’s a great way to experience the community. There are some guidelines to consider to help make sure your stay is a good one. You won’t find bedroom art work like this at a standard hotel! – Narrow down your search to the area you want, and the price range. – Next check out each place, check out all the photos. You can even use Google maps for a closer look of the area. Many pictures use a wide angle lens to make space look larger, so keep that in mind. – Read the reviews, click on the host profile and read reviews for both their rental and when they rented. If they don’t have any reviews, do not use them. For reals, people. I ONLY choose places that have at least 10 reviews and they are all positive. – Make sure to see how many rooms there are, how many people can comfortably sleep. Are there beds or air mattresses? Are there stairs, or anything like that you should know? – Be prepared to pay upfront. Read the details closely to see if there is a deposit. Be cool, respect their space, treat the house as you would your own! Watch your wallet, make a plan. There are so many indulgences! Lots of trendy boutiques in this area. 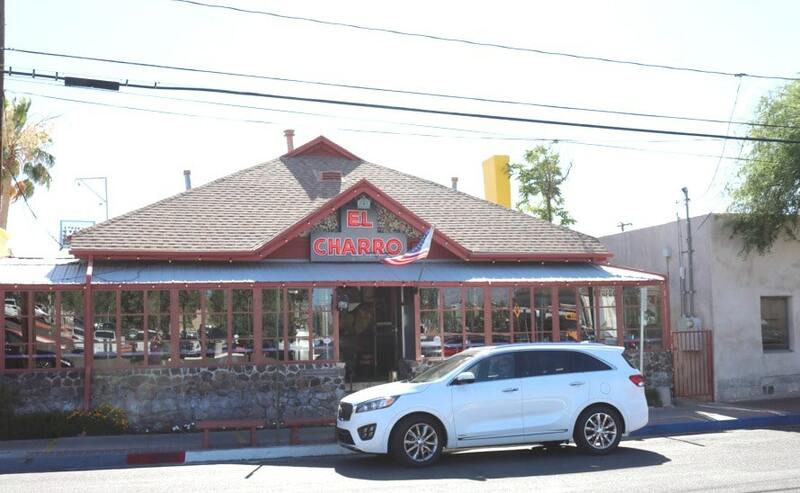 Here is a Yelp article to get you started. I found this little shop called Clover that was packed with all kinds of colorful handmade goods and home decor items. It also had books and cards with super cute and clever phrases! 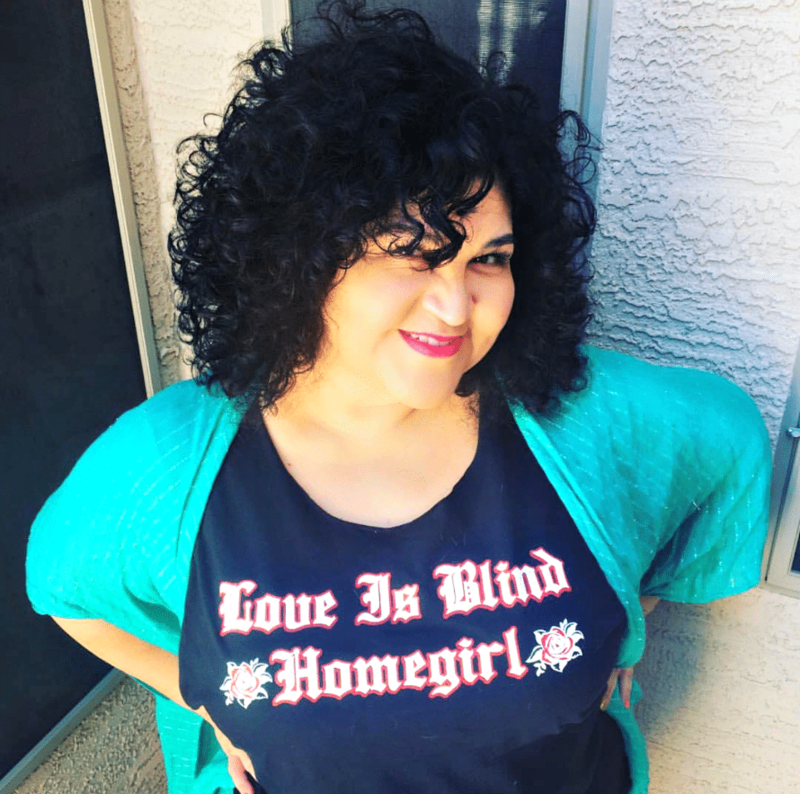 It’s not about Mi Vida Loca anymore! Here’s an Echo Park video that shows what it looks like. It’s still teeming with culture, but it also has many upgrades to the shopping areas, the park, and lots of places to eat. Even the sidewalks are muy artful! This is a pic from when I was in December, but we walked past the same area on this recent trip! This is a place to visit if you want to wow your friends and if you’re starving. OMG, the deep dish pizza takes about 40 minutes but it is well worth the wait. After you eat and are stuffed, simply take an hour to walk all around the area for sightseeing and shopping. These are beautifully crafted vegan donuts! 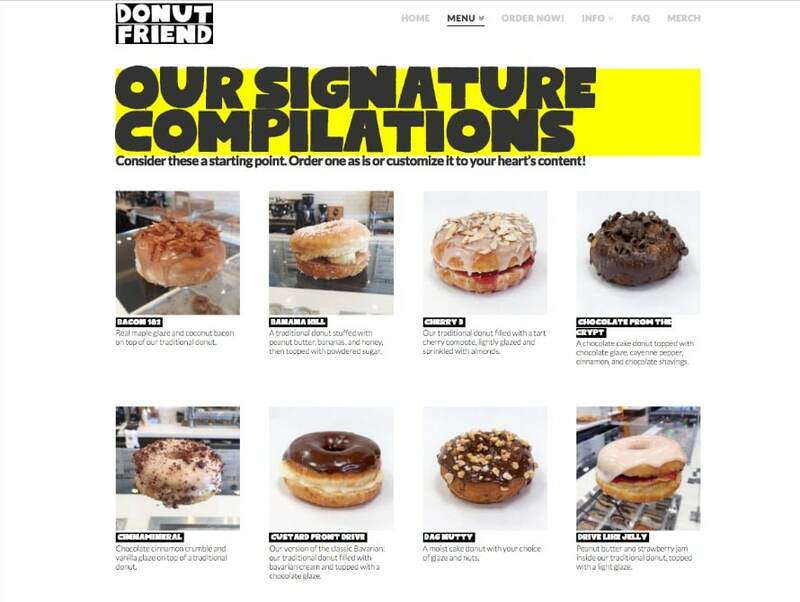 All donuts are egg and dairy-free! 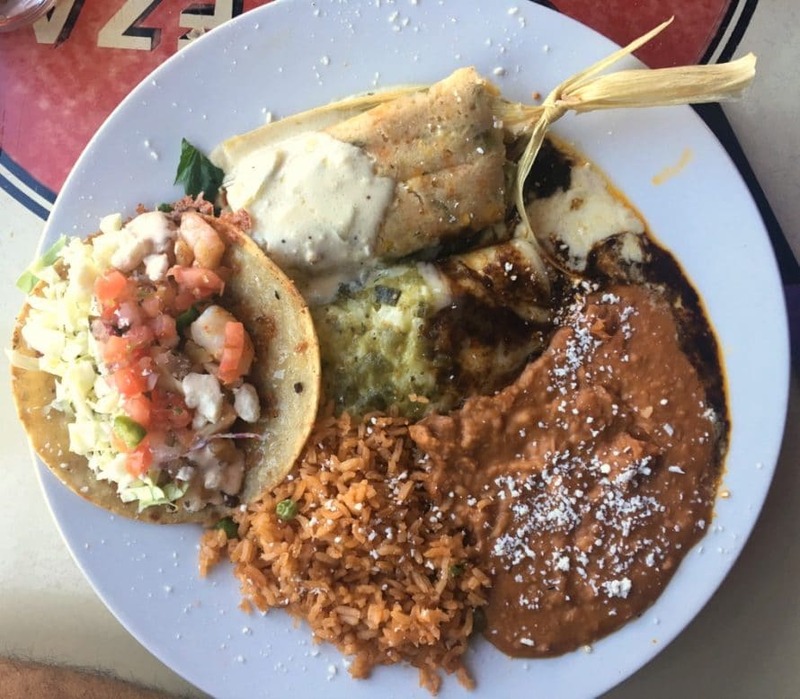 I should mention, after LA, we went to San Diego, I posted the pictures on my Crafty Chica Artlexia event post, and then came home, still had the travel bug, so we went to Tucson and ate at El Charro Cafe. 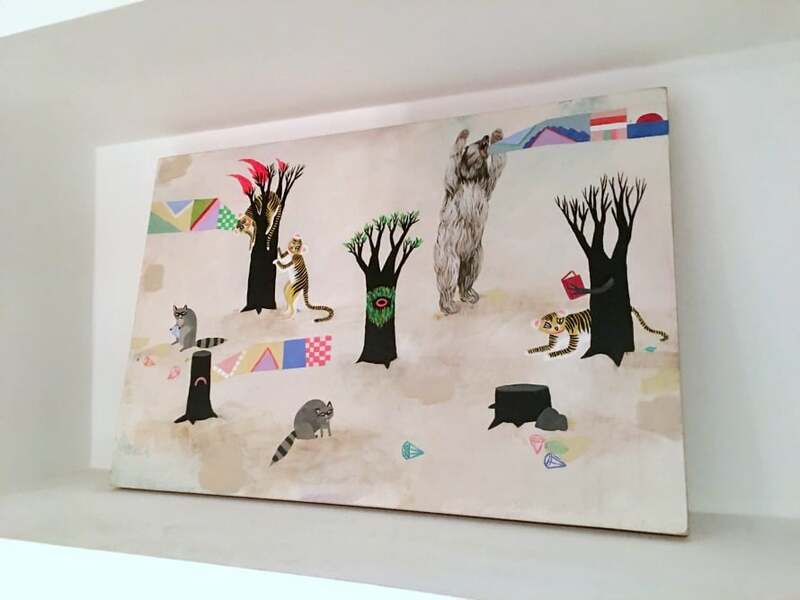 We did a few more things in Silver Lake + Echo Park, but these were my favorites! 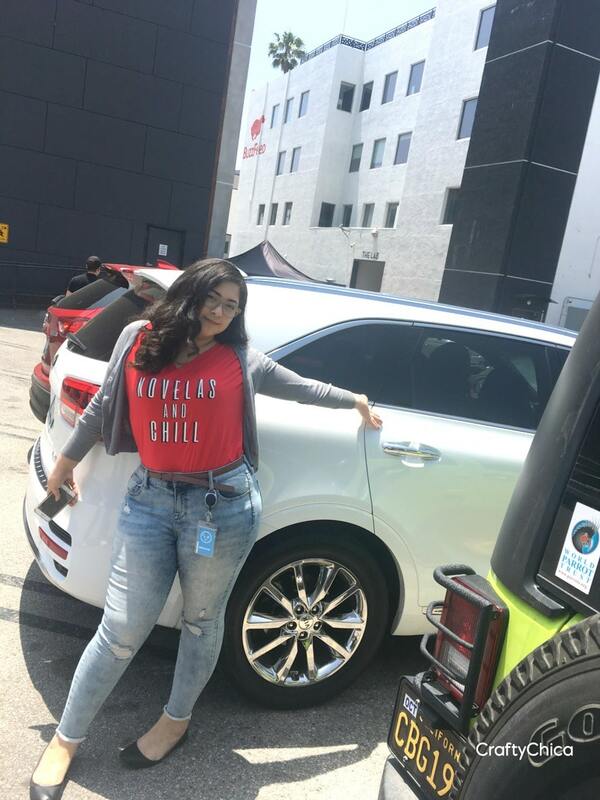 Thank you again to KIA for the wonderful vehicle to make this trip happen! 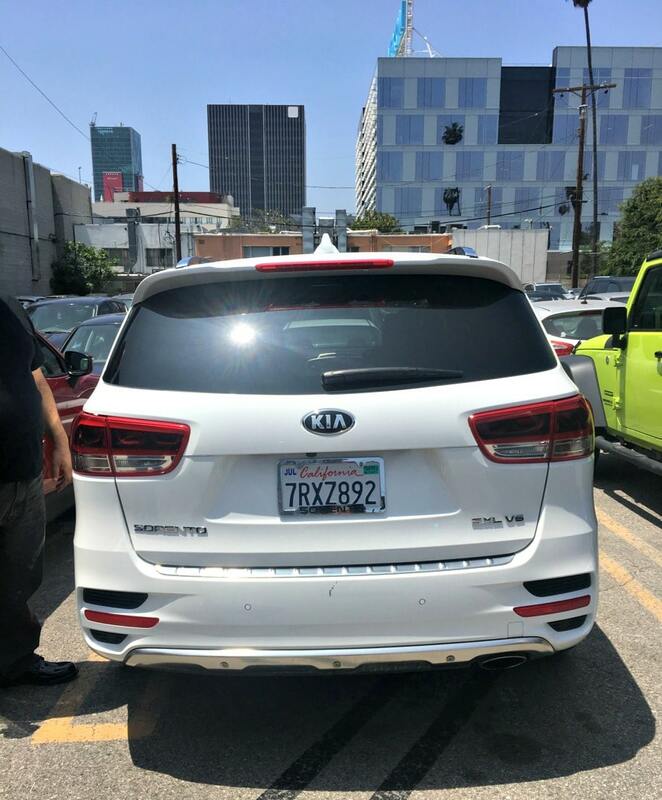 The KIA Sorento had excellent gas mileage and the Bluetooth feature to connect a smartphone came in handy for Spotify playlists and audiobooks. The full-color touch screen display, the blind spot detection, and rear parking assistance were nice to have. It all makes parking a breeze because you can see all around the vehicle and even from the top view. Oh! Okay, before this trip, I had a speaking engagement in Yuma. 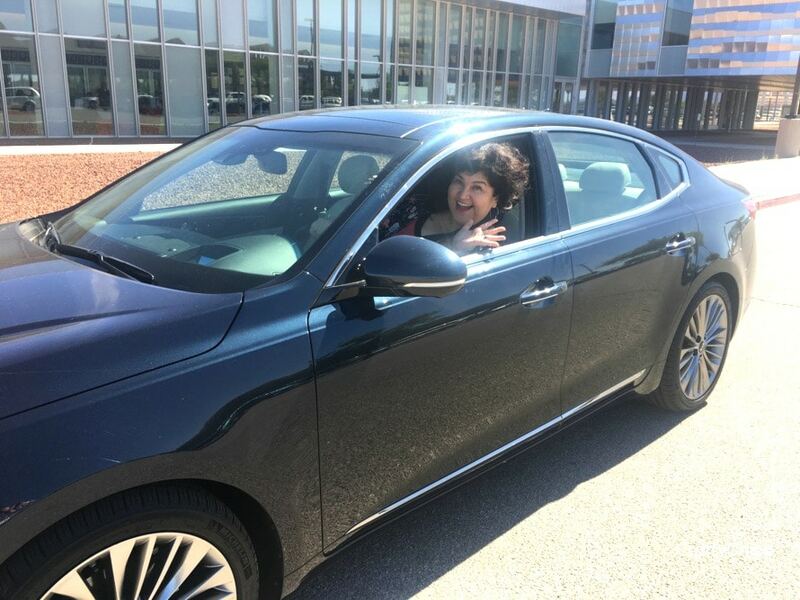 For that trip, KIA loaned me the KIA Cadenza. This car was pure luxury, it had this pretty glittered blue paint job, and inside it had the “Head Up Display” – the speed and GPS are projected onto the driver’s windshield, you don’t even have to look at the dash at all! 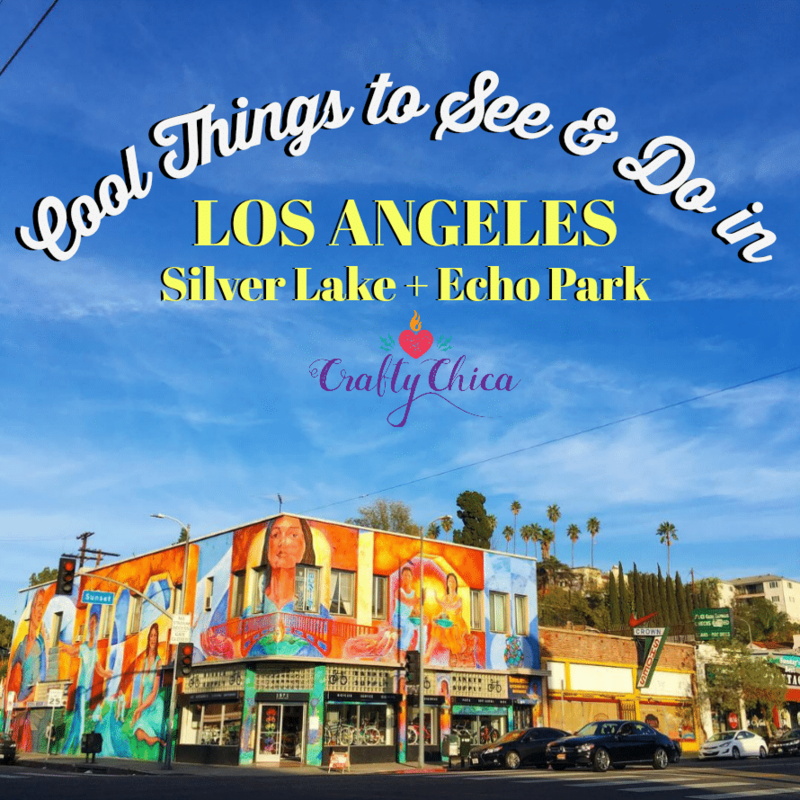 Thanks for reading through my post about Silver Lake + Echo Park! Happy travels! 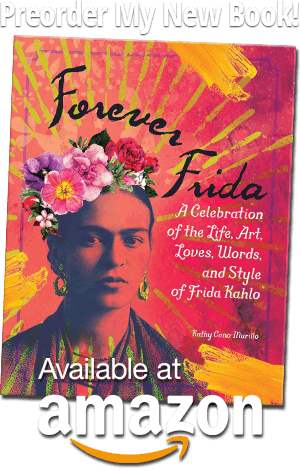 Previous ArticleFree Frida Kahlo Coloring Pages!